Constance Gillam is our special guest at the Dish today. Constance hails from Atlanta, Georgia where I've had the pleasure of meeting her at several Georgia Romance Writers' Moonlight and Magnolias conferences. 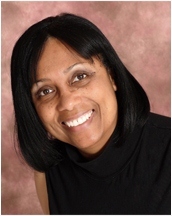 In addition to writing romances, Constance has also tried her hand at genetic counseling, health underwriting, real estate, medical technologist, bank proof operator and phlebotomist. Wow, I'm worn out just writing that! 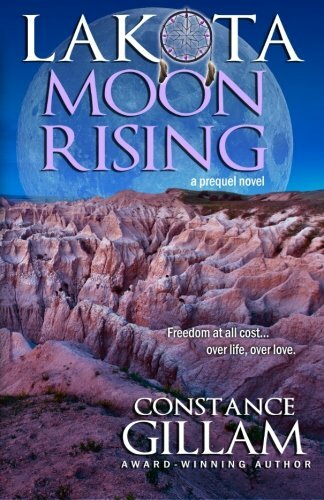 Constance joins us today to chat about her latest book, Lakota Moon Rising. Welcome, Constance! I’m happy you could join us today. You recently released your first historical romance, Lakota Moon Rising. Please share with our readers what they can expect from this book. Thanks, P.J., for inviting me. Lakota Moon Rising is a historical prequel to my first contemporary mystery, Lakota Dreaming. The reader can expect adventure on the Great Plains, a peek at two different cultures during the 19th century, and a universal love story between two strong willed characters. 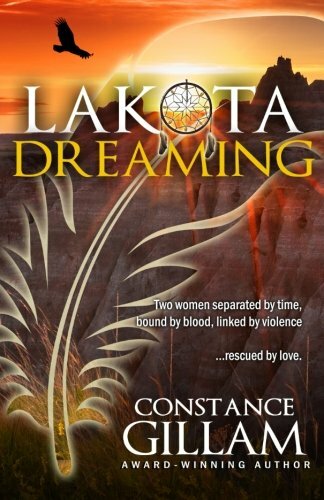 What inspired you to write a love story between a Lakota Sioux warrior and a runaway slave? I enjoy exploring different cultures. The original premise for the series was to see how two different people would overcome their diversity to find love. I found the characters had more in common than they had differences. I’ve always been fascinated by the Native American people and their struggles to maintain their culture and their land. At the same time, I’ve been tracing my ancestors. Since a large part of my heritage is African, tracing my ancestry has involved an up close and personal study of the institution of slavery in the Americas. Julia and Sunkawakan Iyopeya come from different worlds yet find in one another their heart’s desire. What do you want readers to understand about these two characters? That underneath the differences in their worlds are two people looking for a common connection, for a life mate who will travel the rough road with them. Julia is fascinated by the world she discovers away from the plantation where she had spent her life as a slave. What’s the most fascinating place you’ve visited or would like to visit? Why? I visited China in 2007 and was humbled by the history. When I walked the Great Wall of China, it sent shivers through me to remember 2,000 years earlier other feet had patrolled this same path. 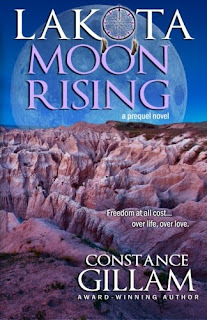 At your website you write, “Music constantly flows through my mind as do the next scenes in my current manuscript.” Did you play music while writing Lakota Moon Rising? If so, what was your soundtrack for this book? A very obvious one, Dances with Wolves. The music was lyrical, symbolizing the flowing of the long grasses and the vastness of the Plain. I also revisited scenes in the movie. I found the panoramic cinematography of the Plains inspirational for describing Julia’s awe as she traveled to Sunkawakan Iyopeya’s camp. 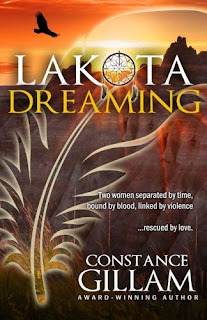 Lakota Moon Rising is the prequel to your contemporary romantic suspense novel, Lakota Dreaming. What can we expect from Lakota Dreaming? Should the two stories be read in any particular order? Lakota Dreaming is a fish out of water story. Zora, a New York City fashion editor, is plagued by what her psychiatrist calls genetic memories. Zora travels to South Dakota, where her ancestor lived, to put an end to these visions so she can get on with her life. She runs afoul of John Iron Hawk, Captain of a small tribal police force. I would recommend reading Lakota Dreaming first, then Lakota Moon Rising. What do you enjoy reading when you’re not busy writing your own books? I read everything except horror. I love Diana Gabaldon’s Outlander series, Karen Marie Moning’s Fever series, I’m currently reading Wench by Dollen Perkins-Valdez. I recently read The Resurrectionist by Matthew Guinn. I’m listening to A Dark Lure by Loreth Anne White. In my TBR pile is a National Book finalist, The Turner House by Angela Flournoy. There are many surprises in store for Julia along her journey. What would readers be surprised to learn about you? No surprises here. I spend hours each day in front of my computer in my sweats. Pretty boring. What’s next from Constance Gillam? I’m working on a contemporary sequel to Lakota Dreaming, tentatively entitled Hunter’s Moon. Thank you so much for visiting with us, Constance. Would you like to ask our readers a question today? What is your favorite fictional or non-fictional romance and why? One randomly chosen person leaving a comment will receive a Kindle copy of Lakota Dreaming. A wonderful post thank you. I do love these covers. One of my favorites has to be the doomed love of Cathy & Heathcliff from WUTHERING HEIGHTS. This story just tears my heart to shreds. I may have shed a few tears over that book in my younger years, Mary. Something about star crossed lovers always gets to me too, Mary. My favourite romance is Roseanne Bittner's Savage Destiny series Where Abbie (a white woman) and Zeke (a half breed known as Cheyanne Zeke) fall in love against the backdrop of the struggles of the native American Indians to retain their dignity, culture, land and way of life against the White man's expansion. The romance runs to seven volumes and induces tears and laughter as Abbie and Zeke experience both the joy of passionate love and the despair of inevitable tragedy. It contains the high adventure of the best Westerns and the deep emotional entanglements of the best romances and all seven books are page turners. Sounds as though there are similarities with Lakota Moon Rising .... I'm gonna have to find out! I've never read Ms. Bittner's books, but it sounds like they're going on my TBR pile. Even though it wasn't a "true" romance, my first thought was Prince Charles and Princess Diana. Why? They wed two weeks after I did in 1981. It APPEARED to be a true romance at the time, but we all know how THAT turned out. I was surprised (but shouldn't have been) how many people watched the wedding. Unfortunately, that fairy tale didn't have a happy ending. I wanted a happy ending for Diana with someone who could truly love her. These books sound amazing! I will have to seek them out. Favorite romance real or fictional? Since Laney4 mentioned Charles and Diana (A FAVORITE OF MINE AS WELL, though I was only 6 when they wed and only remember the wedding came on in the middle of the night), I have to say Will & Kate. I followed their romance from the beginning...I follow it still. I think they make a royal romance look very normal and they seem to do well at protecting each other as much as possible, which is difficult to do in their "careers". I think Will probably learned a lot watching his mother and father struggle with their marriage and relationship in the public eye. It appears his relationship with Kate is real. Also Kate appears to be a lot stronger woman that Diana. Love the interview! You are a new to me author, I love finding them. Your books sound awesome, I can't wait to read them. Thanks for the chance. Thank you for visiting with us today, Connie. Best wishes for your books. I'm looking forward to Hunter's Moon!